Bright and vibrant saison is the perfect summer beer. Refreshing fruity acidity swirls and beautiful colour from the raspberries. 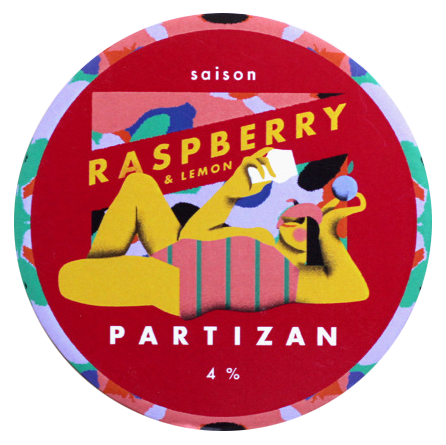 Partizan founder and former chef and home brewery Andy Smith learned his trade at London’s Redemption brewery before setting out on his own in 2012. Their first premises were in a railway arch in Bermondsey, inheriting near-neighbours Kernel’s old 4-barrel kit. Known for producing primarily a rotating range of pale ales and saisons, in early 2018 they moved a few arches down to increase capacity significantly in order to help meet the high demand for their beers. This bright and vibrant saison is the perfect summer beer. The refreshing fruity acidity swirls around the palate and the beautiful colour imparted by the raspberries means it really looks the part too! 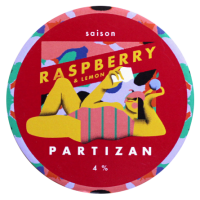 The brewer’s recommendation is to freeze the raspberries and then smash them into pieces to help reduce contact time. Let them come back to close to room temperature before adding to the fermenter – this will allow the secondary fermentation to start quickly. The lemon juice is added to taste, so draw a small sample off and dose the juice in to determine the amount you wish to add. Aim for a medium carbonation when priming rather than the typically high level used for a saison as the acidity of the beer will suit that better. NOTE: This recipe requires additions of 60g of lemon zest for the boil, 4000g of raspberries for scenery addition, and 30-120ml of lemon juice, which are not included in the kit.